Phil – you rockstar! Epic great post. We’ll have our team reviewing this for sure. Thanks for doing all this work. Agreed! Thanks for doing all that work. 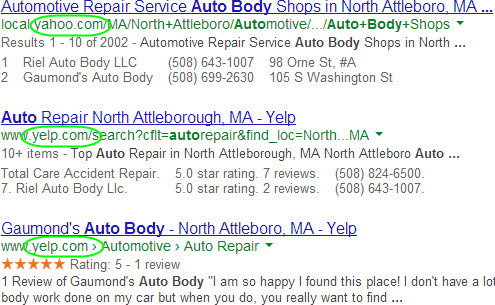 I hadn’t considered some of those as viable review sites for SERPS but I guess I stand corrected. We will need to steer our clients in some new directions. The good thing is, of course, that it’s not mutually exclusive. They can still haul in the reviews on the biggest sites, and just pay attention to some of the others on the back burner. Great post! 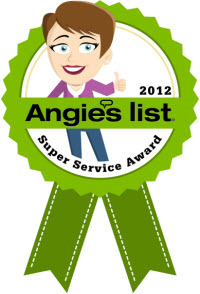 Would you be able to send me a jpeg or other image copy of your “which local sites to get reviews on” pdf? I would love to post that on my company’s forum for our clients to see (with your permission of course). Shoot me an email and let me know either way. In any case, thanks for the great article. Thanks, Eric. Trying to get it into a nice-looking .jpg. I’ll email you if I’m able to git ‘er dun. Holy! Phil! This is great work. What a fantastic resource for the local search community. Thanks for putting this together! Thanks for another good piece of the big review picture. The PDF is great, printed it out for my file. Good deal, Brian. Wanted to do this one for a while. Once again, a great article on reviews. 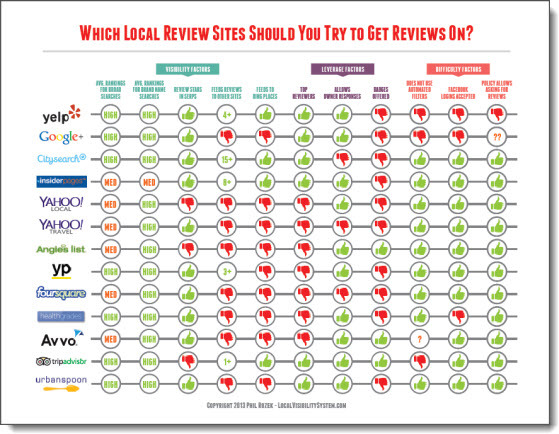 The new chart is great and helpful for the business owner or consultants like us to show our clients where their customers can leave reviews and which sites would be best for them. I love the Local Reviews Ecosystem – I would be on YP.com working on a citation and see that the reviews were from CitySearch. It’s so important when selecting which citation sites a business should claim or be added to if they are in need of reviews, which all businesses are in need of. The part of leverage factors is helpful for us to pass along to our clients. It’s an ongoing task for us that we are reminding them that they need to put a review plan in place and why. I’m going to checkout Google’s City Experts Program. Sure thing, Susan. Glad you like the comparison chart! The “leverage factors” are important, all right. By the way, Google’s “City Experts” program has only rolled out to a few cities. This is one of the best pieces of Local content I’ve seen in a LONG time. Terrific work. That’s high praise (too high), Vadim, but thanks. Great work here Phil! This will be a long lasting asset for the local search community for sure! Thanks for putting this together! You’re welcome, Jackson – and thanks! Epic, epic, epic. Another winner Phil! I’m always in awe of your posts and this one is right up there with the best! Phil, I echo what everyone else is saying! You and this post are awesome! I don’t know about that, but thanks, Benjamin! Great article! Very interesting to see how local search is trending. Now that Google has rolled out recent interface changes like (http://www.chatmeter.com/google-local-changes-requiring-greater-review-management/) and launched Hummingbird, the breadth of your website is what matters. 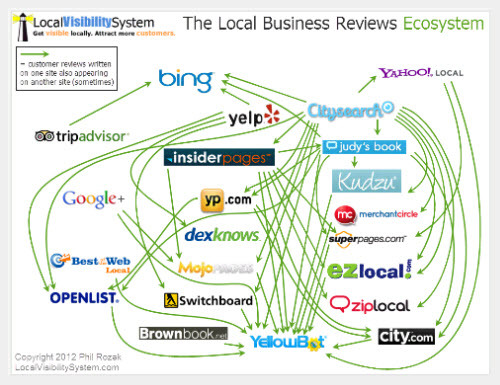 Getting reviews across a variety of sites is absolutely crucial for local rankings in today’s world. Good job. However these are good for USA, but for Italy or Europe have any suggestions? The only sites I know of that would be the same in Italy or the rest of Europe are Google+, Yelp, and TripAdvisor. I imagine PaginaGialle.it would have the same characteristics as YellowPages.com has. 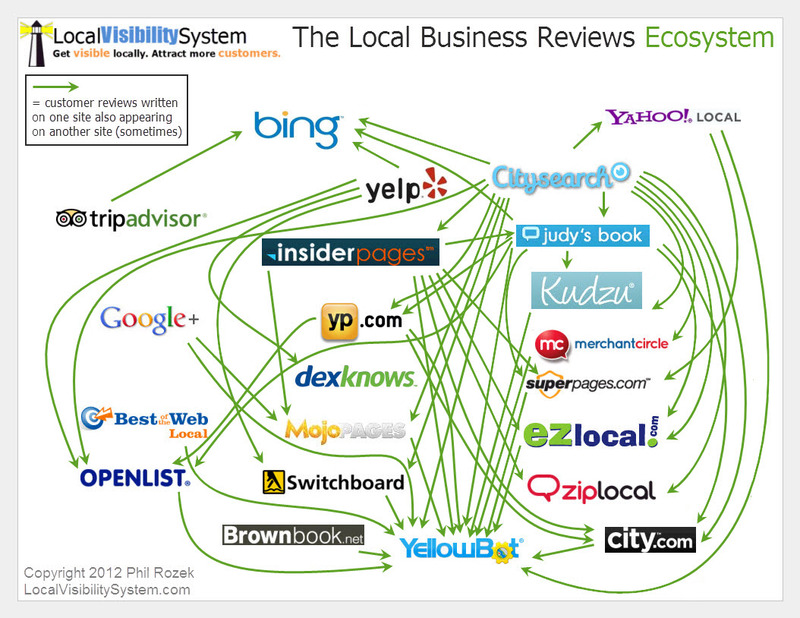 Great overview Phil, solid info that will help many to improve their visibility. 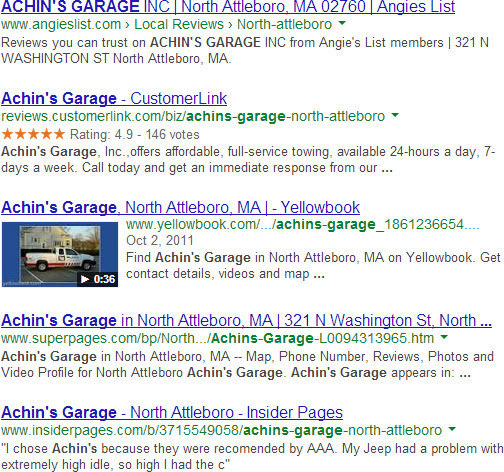 One thing we often see is that directories get differing amounts of use for a search phrase depending on their region. Yelp, for example, isn’t used nearly as much here in Bend Oregon as it is in Portland, just a couple of hours away. Consequently, our top 20 list of recommended directories for a client having stores in multiple locations often varies for each location. Thanks again for providing an invormative and actionable read! Excellent point, Eric. Thanks for that. Yelp does seem to be most popular in larger cities, particularly on the Coasts. I think there’s an interesting study to be had there – on which review sites are popular in different regions. Great post Phil. Love the Comparison Chart. Totally hit the mark on importance and relevance for Local marketers. Of course, it’s a moving target so we’ll see what Google and the others decide they want to count and focus on next month. Testimonials from our clients are very important and because it was really annoying that certain reviews would get filtered, we focused on posting all testimonials on our website at http://www.jurewitz.com/testimonials/. Thanks Phil for this article! It puts many review different sites out there into perspective and helps me determine which sites are the best to get reviews on for my law practice. It can be tough for lawyers, as you say. I’d probably focus on Avvo. Thanks for the advice! Avvo is a good review platform for attorneys that is also in my “must do” list. Seems that Citysearch.com is now taking reviews from judysbook.com. I hadn’t noticed that, but I have noticed that sometimes InsiderPages syndicates reviews to CitySearch. Sometimes it’s a two-way street. They’re all owned by the same company. Thanks for the tip. Thank you for another great post. As an attorney, it seems like getting reviews is increasingly difficult. Avvo is great b/c it allows users to leave anonymous reviews. Some clients don’t mind leaving G+ reviews, which requires using their identity, but a lot of clients seem to prefer remaining anonymous.